Honeywell announced recently that it has introduced a new line of additives for asphalt aimed at helping the paving industry decrease energy usage, reduce emissions and save money while helping meet demanding road specifications. Adding small quantities of Honeywell Titan additives, asphalt is said to flow as much as 60-80% more easily compared with asphalt modified with traditional technologies. Improved asphalt fluidity allows for temperature reduction during both the manufacturing and paving processes, so less energy is needed and costs are reduced for both asphalt manufacturers and road pavers. A real-life paving trial with the Texas Department of Transportation (subject to weather and paving practices) showed the new additives reduce the fuel required to mix asphalt by 13% and decrease the number of paving roller passes by one-third, which in turn reduces the time required to pave roads Peer-reviewed data also demonstrate that adding Honeywell Titan to asphalt can reduce paving-related emissions of sulfur dioxide by 82%, nitrogen oxides by 43%, volatile organic compounds by 19%, and carbon dioxide by 18%, according to the company. 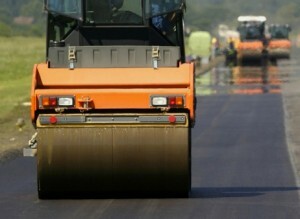 Depending on the asphalt’s composition, using Honeywell Titan can reduce the amount of additive required by nearly 30%. In addition, asphalt formulated with Honeywell Titan doesn’t require high shear mix equipment, making it easy to handle and use. “Asphalt manufacturers and pavers around the world are looking for cost-effective ways to make better roads, and Honeywell Titan additives can help them meet those challenges,” said Phil Wojcik, Global Business leader for Honeywell Specialty Additives. The new Titan additives are polyolefin polymers that have molecular weights between 5,000-15,000.